Discussion in 'DiRT Series' started by GTPNewsWire, Feb 2, 2019. This article was published by Michael Leary (@Terronium-12) on February 2nd, 2019 in the DiRT Rally 2.0 category. Glad to see T-GT on the list. I didn't have much hope after I noticed the clutch pedal doesn't work in Dirt Rally. They have abandoned DR long time ago already. No support for TSS (even though Xbox version supports it for some reason). USB accessories settings still not saved, if you have VR DLC installed. T500 not detected properly as well, etc etc. I just hope that they won't ghost DR2 right after release, like they did with D4. Pro sim racers use the Vita. Dobermann92 and Lubeify100 like this. 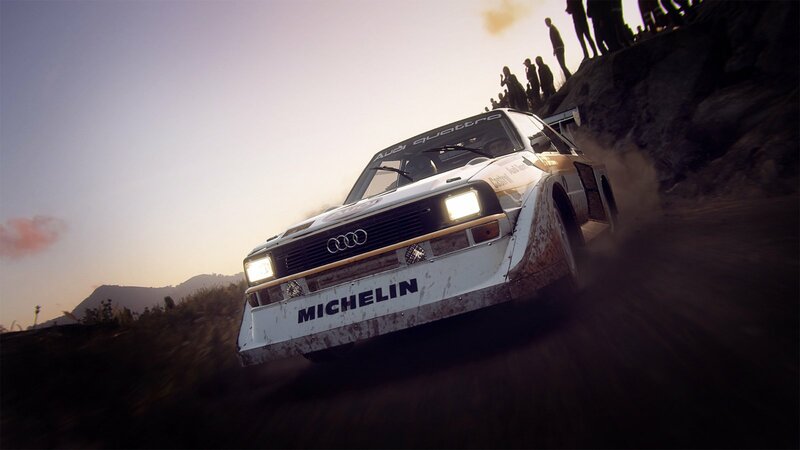 It actually makes sense because because Dirt Rally came out before the T-GT. My rim, the CSL Elite, works in Dirt Rally, but only in "compatibility mode". Codemasters had moved on to Dirt 4, which does fully work on the CSL Elite and other rims. And can use my G-27 on the PS4 version as well . I wish they had support for wheels introduced after release as well. I am just about to start playing Dirt Rally although I'd bought it on sale about a year ago. I was reluctant to get T-GT but I had to because my T300RS GT that I got specifically for GT Sport gave up on me soon after purchase. Lets hope the ffb is on point. Logitech g29 ps4 oh yeeeeesssss! Theiceman1 and poumpoum like this. The issue I had was specific to the PS4 (from what I recall). Generally the FFB was super light and offered limited resistance. Like rally racing in your grandfather’s Buick. On loose surface stages, FFB was barely passable (I’d expect steering to be a lighter), but tarmac was terrible, with no sense of front grip at all. When I put my fanatec 918 rsr wheel on in dirt 2.0 PS4 (Website says this wheel is supported)it won't rotate in either direction. I have updated all drivers and it works OK with the standard csl elite wheel. Any help with this would be much appreciated as I love this game already.